For those who are looking for a full MetalCloak 2-Door Hardline Body Armor System, here it is, all in one convenient place. Save Money Too! We've automatically applied a little discount for you. 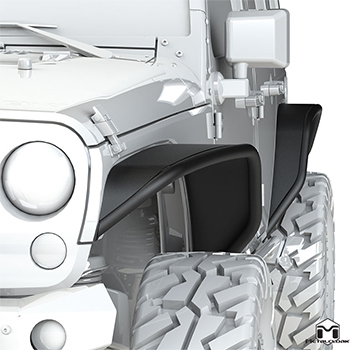 Hardline Front Fenders – Gives you all the quality craftsmanship of a MetalCloak Fender, with added strength and clearance that you don’t get with the stock fender. 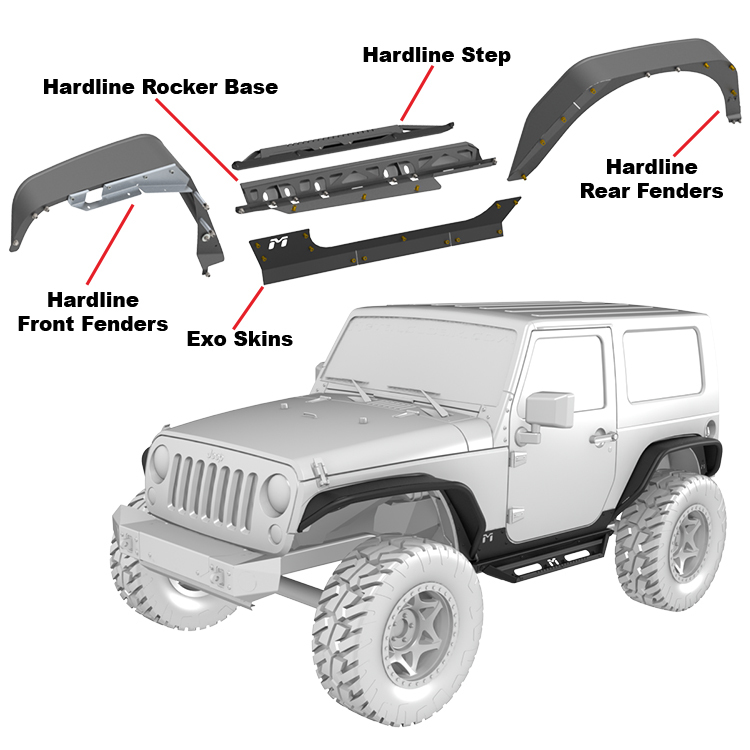 Hardline Rear Fenders– Gives you all the quality craftsmanship of a MetalCloak Fender, without the need for MetalCloak ExoSkins. Hardline Aluminum Rocker ExoSkin– Provides strength, reinforcement and a rugged look. Hardline 2-Door Rocker Rail– A boat-side style protection plate thatoffers high clearance and incredible durability. Hardline 2-Door Rocker Flip Step– Bolts right to the Rocker Rail and can be mounted in multiple configurations creating an easy Step Plate or a Rub-Rail & Low-Step combination. "Aluminum Inner Fender Liners & LED Marker Lights are not included"
Click here to add fender liners to your order now. Increased strength and tire clearance with the best fitment available in MetalCloak Hardline Fenders! MetalCloak JK Hardline Fenders fit better because of the secondary process that applies a large radius bend to the top of the tubular steel fender; this best follows the lines of the factory Jeep body. 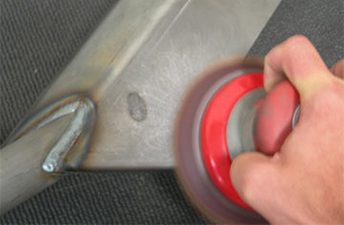 Increase your tire clearance by replacing the factory plastic flares with the strength of STEEL. For the discerning JK owner who wants the highest quality of craftsmanship along with improved strength, clearance, with precise fitment. 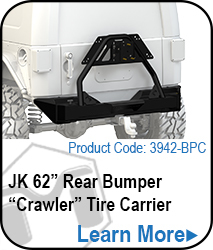 The JK Wrangler Hardline Rear Flare provides 6" of tire coverage. A secondary process adds a large radius top bend that closely matches the factory lines giving the best fitment. 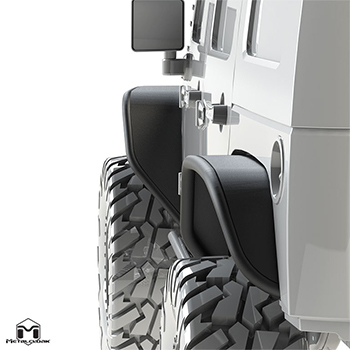 The HardLine Fender also features a "mud guard" like feature on the back of the fenders that keep the width towards the bottom to help minimize mud/road debris. 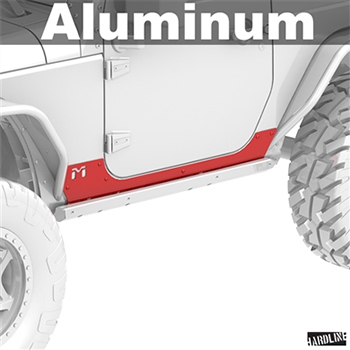 The ExoSkin is a strong yet light weight 1/8" aluminum skin that reinforces and adds protection to the sheet metal of the JK. Designed to integrate with the JK Rocker Base for a great look and added durability! 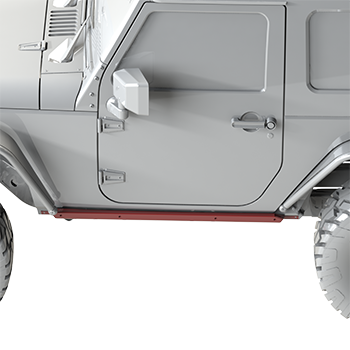 Boat-sided style protection that offers high clearance and strength that exceeds the factory Jeep rocker guards found on Rubicon models. 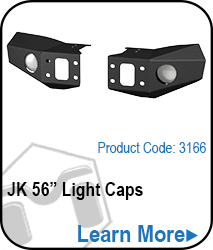 Made from the 3/16" cold rolled steel and can be used with or without the MetalCloak bolt on step options. 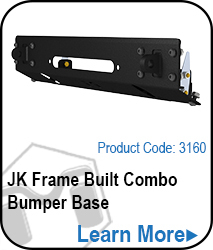 The JK HardlineFlip Step can be mounted in multiple configurations. 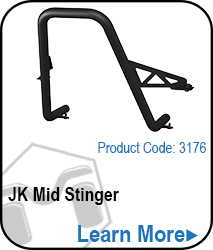 Use it as a high clearance Step Plate Rub-Rail or a Low-Step to help you get into your Jeep.